Welcome to the THERAPY-IV Deep Sea Fishing Blog. 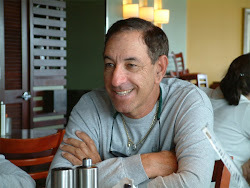 Captain Stan Saffan and his crew of deep sea sportfishing experts have been fishing the South Florida waters for over 40 years, providing private and shared deep sea and Biscayne Bay charter boat experiences of a lifetime to thousands of people that have had a chance to fish with them. It doesn’t matter if it’s your first time fishing in Miami or you are a master big game monster catcher, you can count on the THERAPY-IV to make your day at sea a memorable one. We would also love to hear from you! Whether your Deep Sea Fishing Experience was with us or on your own, tell us about it! This will be a place to discuss all things Sports Fishing! Everything from products to techniques, we want to hear it all! I look forward to hearing from all you avid Deep Sea Fishermen out there! If you’re in the mood for some big game fishing, THERAPY-IV has you covered. The fishing boat is equipped with top of the line gear plus amenities to make the most of the big game fishing experience. Because the Gulf Stream passes somewhat close to the shoreline, big game fishing is tremendously improved, particularly offshore of Miami Beach. 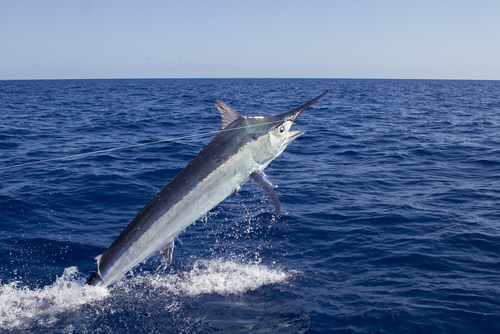 These big game fish include marlin, tuna, shark, and sailfish. The size of these sea dwellers definitely makes them a challenge. Captain Stan of the THERAPY-IV has more than four decades of experience in just about all fishing methods. THERAPY-IV consists of a pair of large, air-conditioned charter fishing boats boasting first class style plus a variety of fishing tackle including fishing rods, reels, and kites. With so many unique species of fish swimming in the waters of South Florida, you probably won’t find a more exciting experience than big game fishing with THERAPY-IV. Call today to schedule your big game fishing experience on the waters of South Florida. It’s going to be a truly memorable experience! THERAPY-IV, a Miami deep sea fishing boat service, brought this update to you. This charter provides all of their clientele with a high-end deep sea fishing experience. With their luxury yacht, exceptional customer service and experienced and professional Captain and crew, visitors can rest easy, they will not only have a memorable fishing experience but will also have the pleasure of visiting the best spots off the coast of Miami and Biscayne Bay. To schedule a trip or to learn more about Miami Beach fishing, contact 305-945-1578. I started out fishing at the age of seven with my father and brother, both on fishing piers and on drift-fishing boats here in Miami, Florida. I started working on the all-day drift-fishing boats as a deckhand, and then I was promoted to first mate on the weekends at the age of thirteen. By that time I had experienced catching just about everything that swims and bites. I continued working every weekend, holiday and summer, learning more about the art and skill of fishing these Florida waters, I knew that I was on my way to an exciting career and someday would be a captain of my own fleet of charter boats. After college I started working full time on the first “THERAPY” and built my first charter fishing boat in 1976. In 2010, my fourth boat THERAPY-IV was completed. It is the most amazing fishing boat that anyone could ever think of building. The THERAPY-IV is the ultimate in luxury for deep sea fishing and a one of a kind experience for those looking to catch big fish off the coast of Miami in the deep sea fishing spots we know best or at some great spots around Biscayne Bay. Let’s go fishing!!! The next big monster is out there waiting for you. Come Check Out The Miami FC!